First of all thanks to sigma.nl, for his JFG firmware, and to the spanish guy creator of the auto microsd swap and the best boot screen for our gamepad. - Elimination of the Chinese character keyboard. - Improved performance of RAM, CPU and GPU. For now it's not bad ROM. Thank you for this wonderfull release. Download with Mega is horrible and for me impossible , can you upload your file with another solution. I'll test Sigmax's ROM again. Hey So this firmware not to good? Afer some days I noticed gamepad gets lag, not only my rom, oficial one has it too, but there is an easy fix. Using ES File Explorer or another root explorer go to /system/app/ and inside that route create a folder called ori. Move MediaProvider.apk and MediaProvider.odex inside the ori folder (both are on /system/app/), restart the gamepad and enjoy the lack of lag. I dont know what causes this, but afer doing what I said the lag disapeared. It works even with 64GB cards, but you need to format then into fat32 first. @ALCAMJI can you upload your firmware with another methode please. a perfect fw would be Cyanogenmod 10.1 but nobody ever tried porting it. Hey where the new download link? 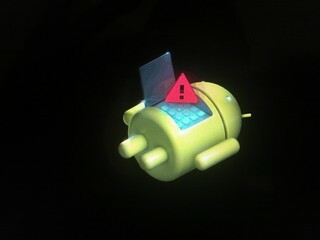 Finally I tried again with the one provided on AndroidTab (http://androtab.info/clockworkmod/rockchip/rk3066/). This one gets me to the CWM menu but that's pretty much the extent of where I can go. I tried loading the rom given at the top by installing from external sdcard within CWM and it seems to install successfully but upon reboot it just brings me back to CWM. I've tried this with Sigmax's as well but I get the same result. I've also tried doing everything via ADB but I can never get the driver's to install (most likely because of Windows 7 x64) so it never recognizes the device when I do ADB Sideload within CWM. I've altered the ADB file to include the Gamepad but it still does nothing. I'm pretty much at a dead end and any help is much appreciated.